Bir-Lehlu (Liberated Territories), April 17, 2017 (SPS) - President of the Republic, Secretary-General of the Polisario Front, Brahim Ghali, called on UN Secretary General, Antonio Guterres, to intervene "urgently" to ensure the Security and safety of the Saharawi civilians who have been victims of the Moroccan repression because of their claim of their legitimate rights to self-determination and independence. "We urge you, Mr. Secretary-General, to urgently intervene so that the United Nations assumes full responsibility for ensuring the safety and security of Sahrawi citizens by allowing them as soon as possible to exercise their legitimate rights to self-determination and independence, like all colonial peoples and countries, in accordance with the provisions, Charter and resolutions of the United Nations," wrote the President of the Republic in his letter to Mr. Guterres, following the violent Moroccan repressions in the occupied territories of Western Sahara. "The United Nations cannot remain indifferent to the provocative escalation practices carried out by the Moroccan state of illegal occupation, in violation of international law, the human rights of the Sahrawis through the plundering of the natural resources of Western Sahara, the expulsion of the civilian component of MINURSO, the violation of the cease-fire agreement signed in 1991 between the Polisario Front and Morocco under the auspices of the UN and the OAU, stated President Ghali. "Through its expansionist and provocative policy in the region, including drug trafficking and its crucial role in promoting and supporting criminal gangs and terrorist groups, Morocco is threatening peace, security and stability of the entire region," estimated the President of the Republic. 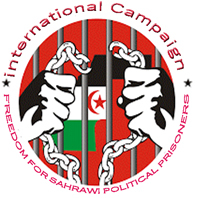 The President of the Republic also called for the immediate and unconditional release of all political prisoners in particular the Gdeim Izik group and to shed light on the fate of more than 651 missing Saharawis since the Moroccan occupation of Western Sahara.